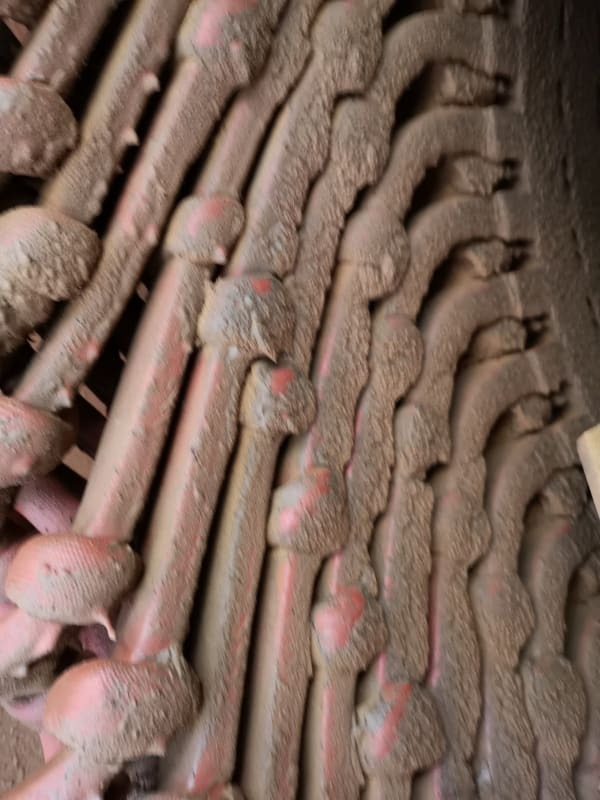 we have 10 MW 6600 volt synchronous generator, Lube oil was leaking inside the generator from DE bearing which cause a dirty winding as the attached photo. we make megger test (5 KVdc - 1 min )all readings was good and more than 2G ohm. I am wondering ,what is the effect of operating the generator in this case ? How can we clean without dismantling the generator ? 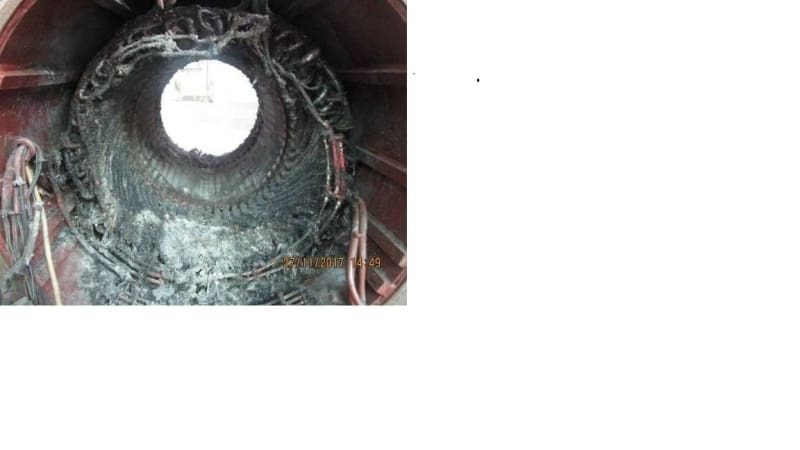 We do not have the ability to pull up the rotor shaft from the stator. which solvent we can use ? Oil is a fire hazard. Mop up oil and wipe with lint free soft cloth. I don't recommend any cleaning liquids, solvents etc. Itsmoked taught me this. Thanks Keith. That's a poorly formed winding with a lousy workmanship. Chapter 25, Rotating Equipment recommends using a cleaning solvent. Alstrom generator maintenance manual recommends using "white spirit" (Yep, turpentine - paint thinner). And don't let the solvent soak into the windings. Most of the techs I work with like CRC Electro-Clean. After a wipe down (as recommended by Edison and Bill, they will get a case of the CRC, spray, wipe, meg after dried. Considering the capital investment was $10M - $20M, I highly recommend getting out the mfg maintenance manual and following their recommended procedure - really, that first. All the maintenance specs say oil contamination degrades the insulation. It needs to be cleaned up. As said, wipe up all you can. Spray solvent and wipe the rest. I had recalled you discussing a large gen.
Was this one the one that was rewound in 2016? then it is not really that dirty when compared with how bad it could be. then yes... the dirt would be prohibiting free air flow. debris as best as can be accomplished. It's going to take a LOT of clean rags that will become dirty real fast. of any kind... because there is no adequate means of thoroughly drying out the winding after getting it wet. CRC Electro-Clean could certainly be used as suggested by iceworm. dirty the winding appears to be. would be the usual cleaning steps. moisture in hidden voids would have to be determined. And, a plan on when the machine can be scheduled for proper cleaning. Oil is a fire hazard. I can't argue with that, although the flash point is typically a relatively high temperature if I recall correctly. I'm curious - have you ever heard of an oil motor winding catching fire? Flash point is not relevant when there is a wick involved (i.e. paraffin wax candle. Dirt and dust soaked with oil are very flammable). Some oils, such as linseed oil, oxidize at room temperature and this can lead to spontaneous combustion. When the winding flashes over, oil/grease flash points are easily achieved. 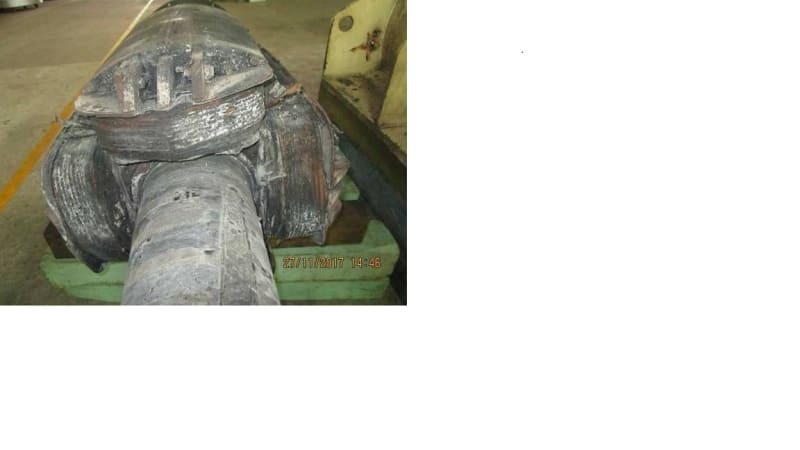 Unattended accumulated oil from the engine caused this fire damage in a DG alternator stator. With collateral damages to the rotor and exciter. Sorry about the white spaces, don't know how to fix it. thanks edison123 for your these recommendations "Mop up oil and wipe with lint free soft cloth. I don't recommend any cleaning liquids, solvents etc. ", i prefer this but some oil inside the air gap and its hard to reach it. If at all you want to use any 'solvent', I suggest white spirit which does least damage to the insulation. Dab a small amount of white spirit on the soft cloth and wipe away those hard to reach points with a stick. Good luck with that. The cloth should not be dripping with the solvent. Otherwise, you will simply wash down that hard to reach dirt making it a harder to reach dirt. Thanks compositepro and edison - good points. It does strike me that there are many many oily motors in plants and repair shops that aren't generally considered as fire hazards (I admit that's a vague term). Maybe they should be.